Can I Joy Dare You? #1000Gifts. (Tweet this). written: a blog post written for Family and Faith Matters – What is One Green Way to Save Money? 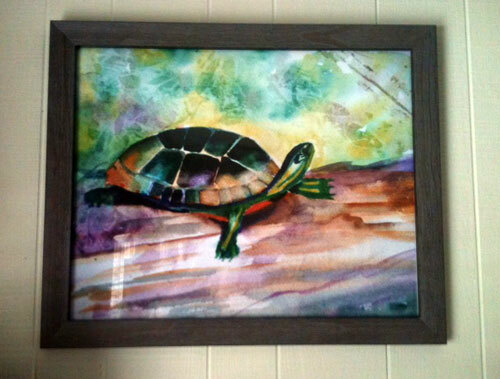 painted: my Tadeo painting hanging in someone’s home. How delightful is that? the people that God has brought into our lives in Arizona – sometimes fascinating who knows whom – 6 degrees of separation? 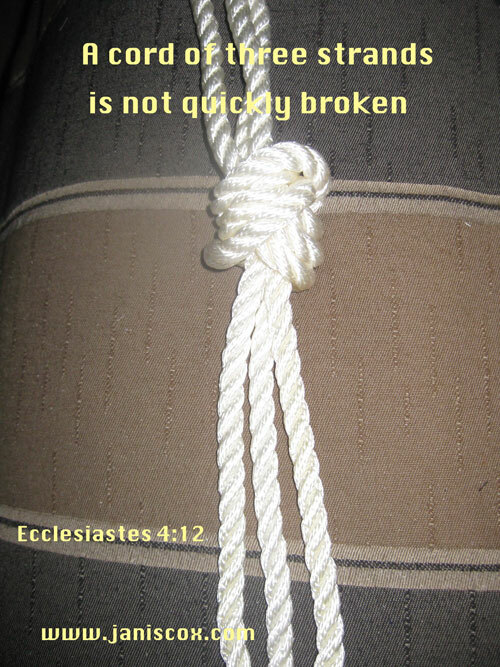 “A cord of three strands is not quickly broken” (Ecclesiates 4:12, NIV). heard: wonderful sermon this morning – “He is risen.” “We do not need to fear death”. How could you not snuggle with this sweetheart? 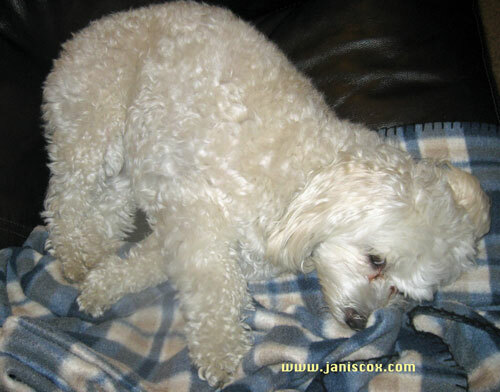 This entry was posted in Counting Gifts and tagged Counting Gifts, God, JOY DARE, life on April 1, 2013 by JanisCox. Hi, Janis! You have shared so many wonderful gifts from the Lord on your Joy Dare list! The pictures are sweet, too! 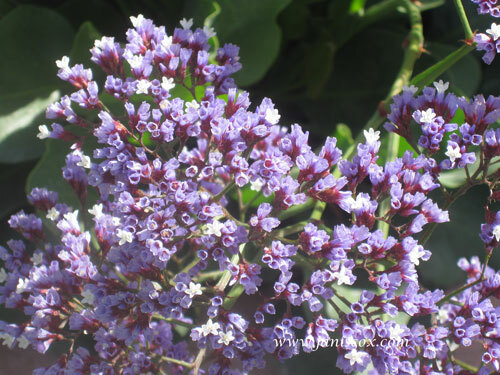 Love the flower photos. What are the red flower hanging down? They are so unique-looking. Being in Arizona, are they tropical? Thanks for commenting. 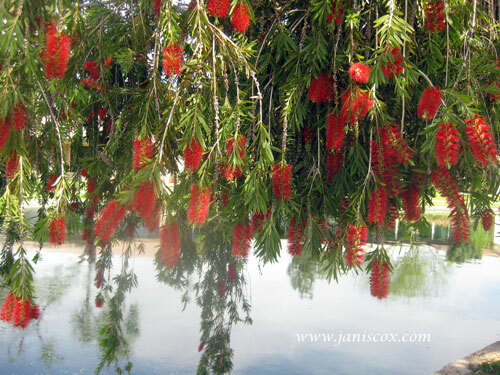 The red flowers I think are called Bottle Brush, at least that is what the people call them around here. And I am not even sure if they “belong” here or were added to our area. You did well with the Joy Dare. I was having a hard time following the topics. We are ordering maple syrup this month. Can’t wait. Love the promises you posted. I find the JOY DARE very difficult sometimes. I really have to pray and ask God to tell me exactly what to look for. He always does. Thanks for commenting and your encouragement. Oh, I love that maple syrup, especially on pancakes! And I would snuggle with Snowball too if I could. He looks soooo cuddly. I love the wisdom of the Oswald Chamber prayer. Lovely post, thank you. Snowball is a little girl and she is the snuggliest. Thanks for your warm words.